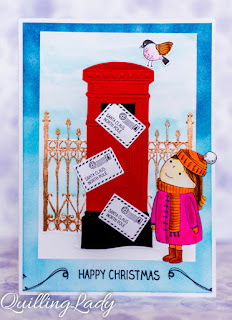 Today, I have for you a set of three cards with the same theme: Christmas Post Box. I used Zig markers to colour in the robins, the girl and her coat. 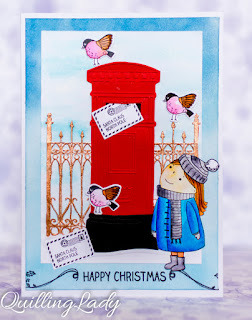 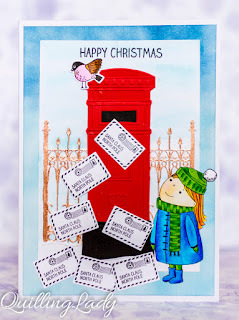 I embossed the post box in several colours and put them together to create the scene. It's just one more month until Christmas!